3 YEARS/ 36,000 MILES WARRANTY ON THIS EXTRA SUPER CLEAN CADILLAC ESCLADE LUXURY SUV. How's that for Peace of Mind when looking for your next SUV? Just arrived, this Escalde with all the right stuff on it like DVD, Sunroof, Navagation, Heated and Cooled Seats, Rear AC/Heat, 3rd Row Seating, and All Power including Remote Start. This Cadillac has been through the Shop and has a Clean Bill of Health. Clean Car Fax too with NO PAINT WORK EVER! Make the Short drive to Boyles Auto and check this Esclade out for yourself, You'll be Impressed! We have bank and Credit Union financing with super low intrest rates, so you can take this Cadillac Home Today. Call Scott or Tucker at 205 265 3011, or Randy at 205 269 3196. 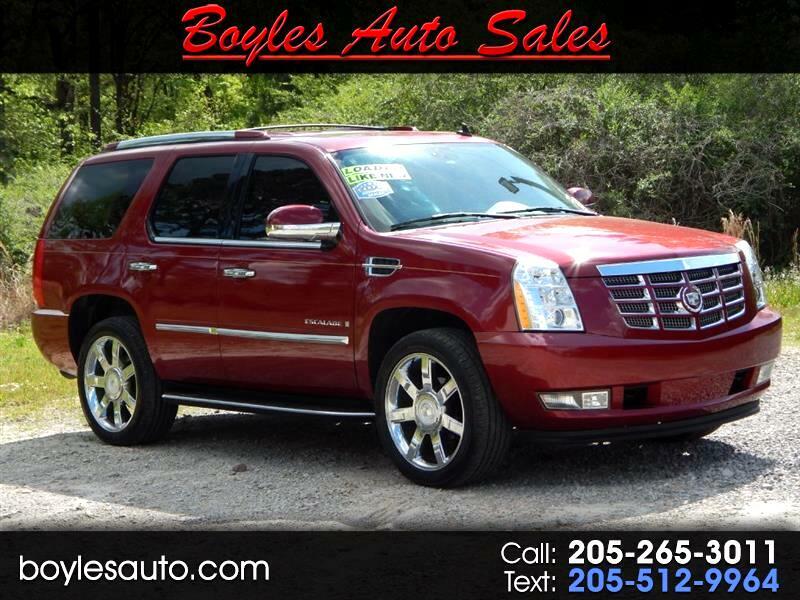 Visit us online at www.boylesautosalesal.com to see more SUV's or to fill out a credit app for faster financing. Thank You!